Personal injuries are tough to deal with, especially if you don’t have legal representation or are confused about how to find help. The personal injury attorneys at One Law Group can help. A personal injury can happen in situations such as in an auto accident, on a private property, on a public property, or even during a medical procedure. Regardless of how the personal injury happened, there is a limited amount of time to file a claim against the responsible party. This law is called the Statute of Limitations. The Statute of Limitations is a legal term used to define the amount of time a person has to file a lawsuit against the party responsible for causing the personal injury. In California, the statute of limitation is two years from the time the injury occurred. However, if the injury is not immediately apparent to the victim, they will have one year from the date the injury was discovered. The purpose of these limitations is to secure evidence that is current and to ensure the quality of witness testimony. If you have been in an accident and suffered a personal injury because of another person’s recklessness, the personal injury attorneys at One Law Group may be able to help you recover damages for the injuries you suffered. Call One Law Group in Beverly Hills at (844) 626-1LAW to schedule a free case evaluation today. Why is the Statute of Limitation Important? The Statute of Limitation is important after a personal injury because if a lawsuit is not filed within the limitations period, the injury victim may lose the right to recover compensation for their injuries. Once the limitations period has ended, a person can no longer file a lawsuit against the party that caused the injury. This is exactly why having a personal injury attorney is necessary when a person has been injured because of the negligence of another person. A personal injury attorney is key in gathering facts about the case, facts about the victim and other party, and they help you understand the limitations period. As a personal injury attorney becomes familiar with your case, they can advise you on the Statute of Limitations that applies to your case. It is important for a victim to understand the statute of limitations in their case because delaying the process could make the difference between winning and losing the lawsuit. At One Law Group in Beverly Hills, we pride ourselves on keeping our clients informed about the process of their cases, such as understanding the statute of limitations to file a lawsuit. If you have been in an accident and suffered a personal injury because of another person’s recklessness, the personal injury attorneys at One Law Group may be able to help you recover damages for the injuries you suffered. Call One Law Group in Beverly Hills at (844) 626-1LAW to schedule a free case evaluation today. Does the Statute of Limitations apply to other cases? The statute of limitations applies to all types of lawsuits, but the timeframe in which a lawsuit can be filed is different. The Statute of Limitation for personal injury lawsuits is two years. If the injury or accident results in a death of a person, the limitations period is also two years. It is imperative that injury victims seek representation by a personal injury attorney as soon as they learn that they suffered an injury from the negligent event. Personal injuries are typically results of auto accidents or hazardous conditions on public or private property, and both situations are results of negligence. Whether the negligent party is the other driver or the proper owner, a person shouldn’t have to suffer pain because of their carelessness. In some cases, a personal injury may be caused by a defective product, which isn’t necessarily the negligence of the manufacturer or seller but they are still responsible. Emotional distress caused by the injury can also be factored into a personal injury lawsuit. Personal injury can be one part of the lawsuit after an auto accident, which holds a limitations period of two years, but there is a different statute of limitations for property damage. The limitations period for a property damage lawsuit is three years. Keep in mind that the statute of limitations for a personal injury claim does not increase with the inclusion of the property damage lawsuit. Medical Malpractice is another type of personal injury that may occur from an act of negligence. Unfortunately, an injury from malpractice is always immediately noticeable. The statute of limitations for a medical malpractice lawsuit is three years regardless of the discovery of the injury. If it is discovered that a medical malpractice lawsuit involves an incorrecte diagnoses, a person will have one year to file a suit from the time that correct diagnosis is discovered. However, an exception to the three-year limitations period could be considered if it discovered that the doctor or other medical professional intentionally concealed or lied about the malpractice. Additionally, the statute of limitations in a medical malpractice case may also be extended if a surgeon leaves a foreign object in the patient’s body. Although there are other types of lawsuits that hold different statute of limitations, the most important aspect of a lawsuit is acquiring the proper legal representation. Determining the limitations period of a lawsuit is not easy and it requires a complete understanding of the law to know how and when a lawsuit should be filed. 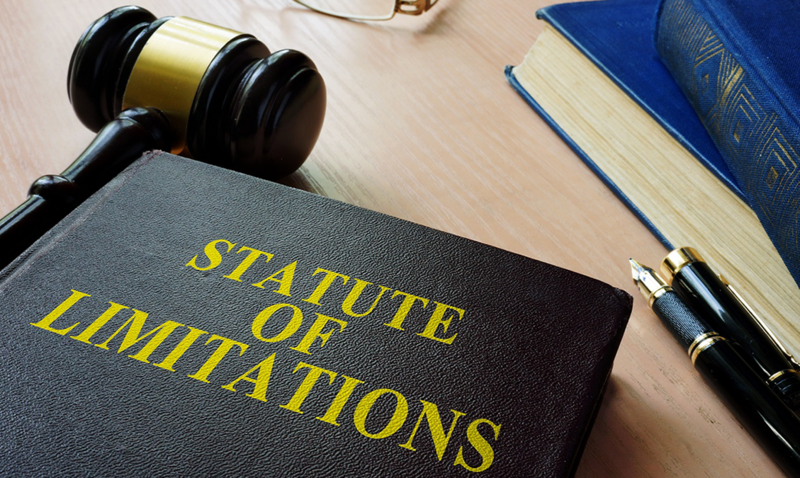 To learn more about the statute of limitations and your personal injury case, call One Law Group in Beverly Hills at (844) 626-1LAW to schedule a free case evaluation today.